A quiet spot in a corner of the garden at the end of Maple Lane. 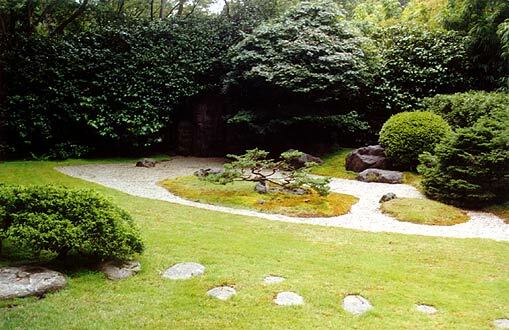 This Zen garden was laid out in 1953 by one of Japan's leading landscape architects, Nagao Sukurai. It represents a mountain scene in miniature with a stone waterfall and a white gravel river with islands and a tiny tree.